Last year sometime, we all got whipped into a frenzy. The Government of Belize (GOB) had just issued new regulations on window tinting, driven because of the problems of crime. So, here we are in June of the following year, and I just got my Isuzu's windows re-tinted. The Department of Transport begins in a week or so to finally enforce the new law. I took the trusty vehicle down to the Corozal Transport Office yesterday to have my rear side and rear window tinting checked with their new tint measurement meter (I don't know what it's official name is). Turns out, my back window registered an 'eleven on their meter. It should reach a 'twenty'. Oops. That meant I was going to have to have the windows re-tinted or face a fine up to $500 BZD. And they won't issue just a ticket either. They're going to issue basically a bench summons - where you have to appear in Magistrate's Court. You can guess how that would go down. 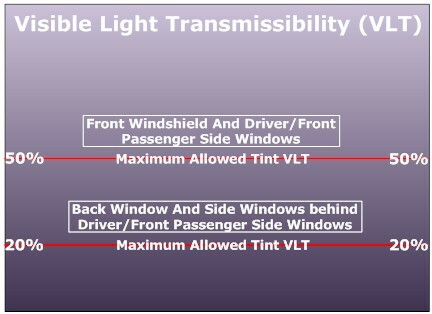 The Front windscreen has to be at least a 50% VLT (Visible Light Transmissibility) measurement. 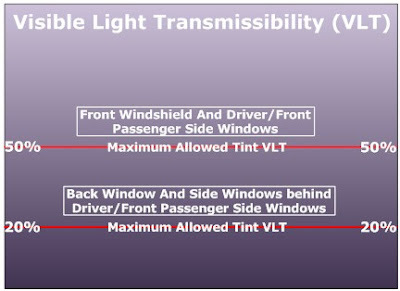 Front side windows, Rear side windows and rear windows must be at least 20% VLT. Our front and front side windows are sans tinting. I removed it shortly after I bought the car. It made nighttime driving worse than it already is here in Belize. I ran some errands this morning and stopped by In and Out Auto Parts. 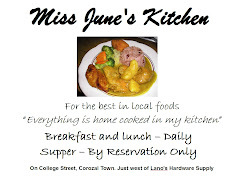 They're located right in front of the Corozal Police Station. 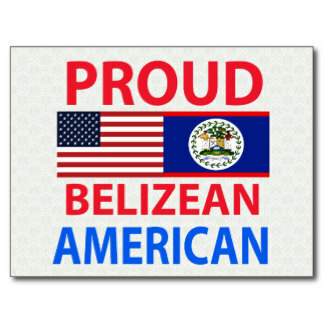 That sounds really native Belizean. I'll interpret for you. 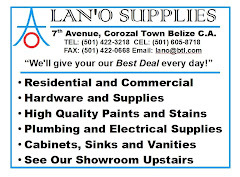 They're located right across the street from the Corozal Police Station. How's that? Their awning space was open, so I whipped in, just intending to find out what it would cost. The owner told me $140.00 BZD to do the rear sides and rear windows and that it would take about an hour. Cool. I jumped out and let them get to work. Figuring I had an hour to kill, I drifted over to Chon Kong and had an ice-cold bottle of water. There was no charge for that either. I'm such a good customer! After that, I strolled over to Lydia's Gift Shop, looking for some Rubbermaid or Tupperware-type salt and pepper shakers. You know, the kind with the snap-on lid so the salt doesn't absorb too much humidity. Nope. All they had was the old-fashioned ceramic ones. 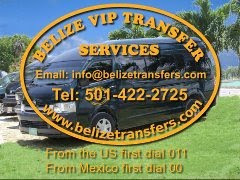 From there, I thought, since I've got time to kill, I'll just stroll over to BTL (Belize Telemedia, Ltd.) and register our phone numbers. That way if we lose a phone or it gets ripped off, you still get to keep the same phone number. Otherwise, you have to get a new number when you get a new SIM card. That service used to cost $11.00 BZD. It's now free. Of course, you have to have your phone in hand to get the number registered. I could do mine, but not Dianna's as her's was at home. 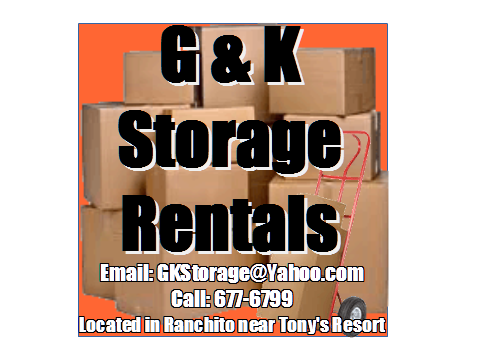 While I was there, I also picked up a new 2011 BTL phone book. Woo hoo! After that, I strolled across the lower side of the market, back to In and Out. It had been slightly over an hour. One window was done. Oh well. It worked out well. I got to talk to one of the bucket brigade of car washers here. Nice guy. Well spoken and very humorous. I also met the draftsman who works upstairs from the auto shop. Walter Flowers (Flores). A nice guy also. Used to play in a band in his younger days (or his squad, as he called it). He was also a classically trained musician, studying the pianoforte. I'll tell you, the people you meet here are astounding. Their stories would fill a book, or several. Anyway, after a couple of hours, it was done. A very nice job and for $145.00 BZD. You can't argue. And now I'm legal. The following link is in response to the intro lyrics for this addition of "Adventures in Paradise". Thanks for sharing your experiences, and never change. Thanks for the nice comment. I'm not sure about 'Too much time on my hands' - we're always saying "How did we find the time to work, when we had to work for a living?" Thankfully those clothes and hairstyles went far, far away.